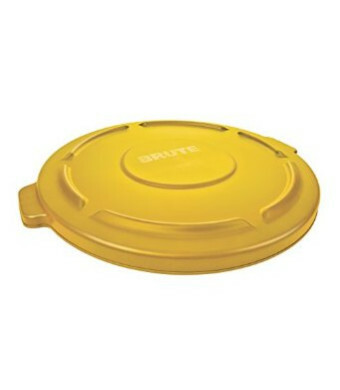 Rubbermaid Commercial FG263100YEL Brute HDPE Round Waste Lid, 32-Gallon, Yellow. All-plastic, professional-grade construction will not rust, chip or peel; resists dents. 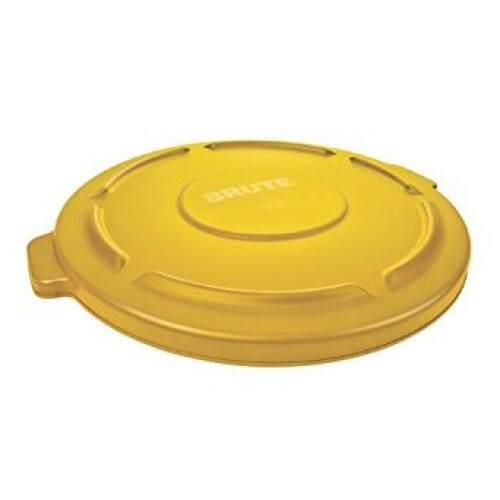 Reinforced rim, and double-ribbed base add strength. Strong, snap-on lids are available for secure, stable stacking. Certified to NSF Std. #2 (gray, white and yellow) and Std. #21 to all colors For Rubbermaid 2632 Brute containers. 22.913 inches long by 22.598 inches wide by 1.5 inches high. 2.058 pounds. Made in the USA.